Antacid reacting with acid. Chewable antacid and calcium dietary supplement tablets reacting with acid. When few drops of 1M hydrochloric acid are poured on the antacid tablets, bubbles are produced. 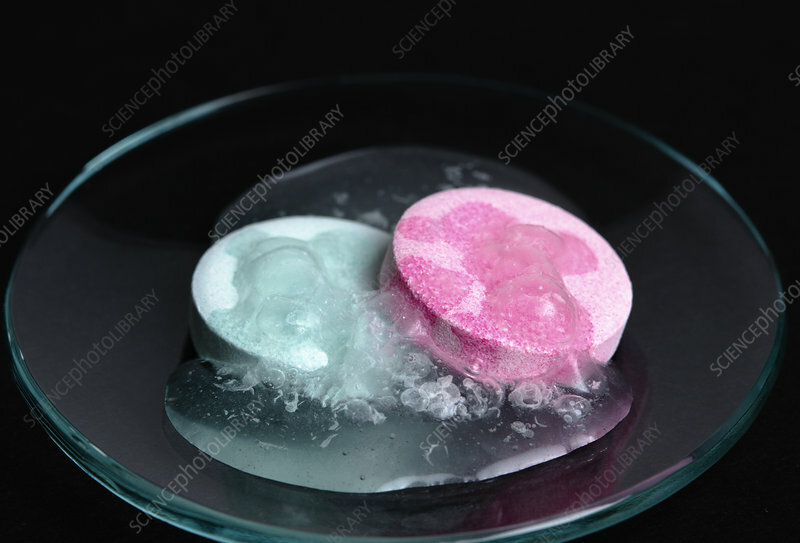 Antacid tablets contain calcium carbonate that reacts with hydrochloric acid to produce carbon dioxide bubbles: CaCO3 + HCl -> CaCl2 + H2O + CO2.